Overtime neighborhoods have changed. People brought welcoming baskets or baked goods to welcome new people on the block. Neighbors even offered to help each other out with a project. Some would stop by for a cup of coffee and leave a list of important numbers. Sharing tools and garden equipment was another thing neighbors did so everyone didn’t have to buy expensive items that weren’t used often. Today all neighborhoods have their own personalities. Some are more open to having street parties and socializing while others made up of people wo prefer to stay to themselves. 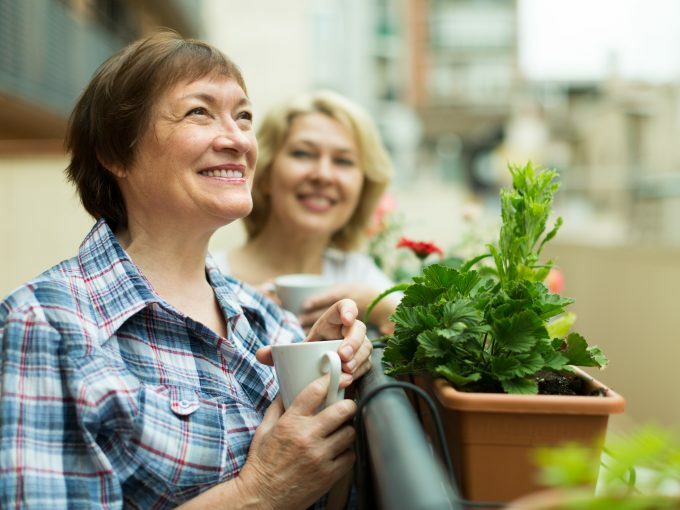 Neighbors who tend to stay to themselves doesn’t make them bad, often many of them might have demanding jobs and other responsibilities so there isn’t always time for them to socialize with their neighbors. Regardless of the type of neighborhood you live in there are some basic rules you should follow to be a good neighbor to others. While the goal is to live in peace, it is not always possible. You still can do whatever it takes to prevent hostilities and long-lasting hard feelings between your neighbors. You can’t always be quiet as a mouse, but there are some certain rules you should follow when it comes to making too much noise. There are different rules you should follow depending what type of living space you occupy, such as a neighborhood street or apartment building complex. Don’t holler at someone if you are living in an apartment building. If you are going to be using tools, such as hammering a nail to hang a picture, don’t do it late at night. Wait until the next day when your neighbor is awake during the day. Don’t mow the lawn at 7:00 in the morning on the weekend. Wait until 10:00 am at least. Try to avoid unnecessary noise from any source between 9:00 pm to 9:00 am. Show a bit of kindness to your neighbors daily or when you can. Always say hello. Even when you are out of your neighborhood, a quick smile, nod, or greeting can build stronger bonds. Make the little things count. When one of your neighbors is out of town ask them if there is anything that they would need done while they are gone. Maybe they have trash that needs taking out, turning their sprinkler off when the rain comes, or accepting their mail and packages. Be there in times of need. We are all people in the end and go through tough times. Maybe a neighbor gets sick or their spouse is diagnoses with cancer. Be there to comfort them or to prepare dinner meals for them. Exchange house keys for emergencies. Give a trusted neighbor a copy of your car key or even house key in case of an emergency. You never know when you will get locked out! Remember them during the holidays. Give them a holiday card or a homemade gift. Don’t expect anything in return. Just enjoy the act of giving. Being a good neighbor means following the golden rule. Try not to borrow anything, but if you must try to return that item as soon as possible. If you break the borrowed item pay to fix it or replace it. Don’t gossip about the neighbors. If you and a neighbor have a problem, go straight to them and discuss the matter in a respectful way. Only call the police when you are threatened if the situation gets out of hand. Show responsibility for your pets. Keep them off the neighbor’s lawns and picking up after them. If you and your neighbor have a misunderstanding, make the effort to make things right or at least being on friendly terms. If you live in a neighborhood that has a homeowner’s association, know the rules and follow them. Spending time with your neighbors can be fun, especially if you are wanting to get to know each other more. Here are a couple of things you can do as a neighbor or neighborhood. Plan a party. 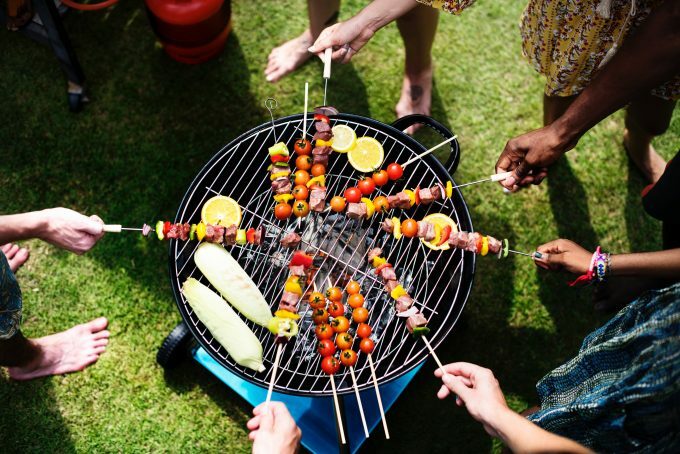 Plan to have quarterly block parties or have residents take turns hosting monthly gatherings. Make it causal. Sometimes parties can feel pretty uncomfortable if everyone doesn’t know each other. Try hosting a causal get together, such as an ice cream social where everyone brings their own spoon. The host can send out invitations asking the neighbors to RSVP with their favorite cream flavors. Have some fun. Stop out of the box by hosting a neighborhood mini-gold game with eveyr hole on each person’s front lawn. Need a reason to invite the neighbors over? Gather together for the kids or pets. Plan holiday parties with Halloween, Christmas, or Easter. You can even have a pet party for the pets in the neighborhood to get to know each other but also the neighbors get to know your pets too! Ask your guest to park in your driveway or in front of your home. Make sure they don’t block someone in their driveway or use another person’s designated spot in their apartment complex. Obey the noise laws. If a neighbor asks you to keep the noise down, be friendly and apologize. Then make sure you quiet down the noise. Invite the neighbors over for your parties. Doing this shows friendliness and doing your part of being a good neighbor. Be sure to make the new neighbors feel welcomed into the neighborhood by stopping for a friendly introduction. This can enrich the lives of the new neighbors as well as yourself! Introduce yourself. Do this as soon as you can. Give the neighbors your phone number too! Deliver meals and treats. Everyone loves a good meal or baked good to welcome them in their new neighborhood. Have the kids meet. You can even offer the new neighbor’s children to come over while the parents unload the truck and more. Give them a list of important services and phone numbers in the area. some important numbers are emergency services, doctors’ offices, dentists, schools, places that offer carryout, dry cleaners, and whatever else you can think of. Have a block party once a year. This can help everyone get to know each other, especially the new neighbors! When making an effort to be a good neighbor, everyone can have a sense of well-being, knowing you are surrounded by friends. The neighborhood will be more appealing and you may even feel happier within your home. A great thing too is knowing that you and your neighbors have each other’s backs!